Below you can view all the homes for sale in the Reserve At Gold Hill subdivision located in Fort Mill South Carolina. Listings in Reserve At Gold Hill are updated daily from data we receive from the Charlotte multiple listing service. To learn more about any of these homes or to receive custom notifications when a new property is listed for sale in Reserve At Gold Hill, give us a call at 704 604 8836. This Active neighborhood offers an airnasium, pool, playground and sidewalks. MLS#3486309. Allen Tate Providence @485. This home won't last long so schedule your showing today!! ! MLS#3478243. Costello Real Estate and Investments. Fenced yard; irrigation, in renowned Ft. Mill Schools! MLS#3470521. Allen Tate Ballantyne. 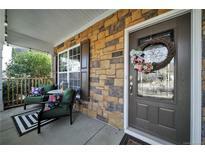 - Easy multiple access to Uptown, Airport, County/City parks, Lake Wylie and Carowinds. MLS#3467098. ProStead Realty. Located right near clubhouse and pool! MLS#3466106. Allen Tate Providence @485.